Since arguably the beginning of time, humankind has pursued a plant-based diet to some extent. It should come as no surprise that today, still, more and more people choose a more-or-less plant-based diet as their primary eating style. Still, there are certain nutritional requirements that are – as experts say – to be classed as “non-negotiable”, that is – to say, our bodies’ requirement for them can not be substituted with other nutrients. A prime example of this type of essential nutrients are the fatty acids EPA and DHA. While they are found primarily in cold-water fatty fish, they do occur elsewhere in nature. For those who don’t eat or fish-derived products, there is still an undebatable need to achieve intake of DHA and EPA, and not just shorter-chain fatty acids such as ALA found in Avocados, Flax and other plants. 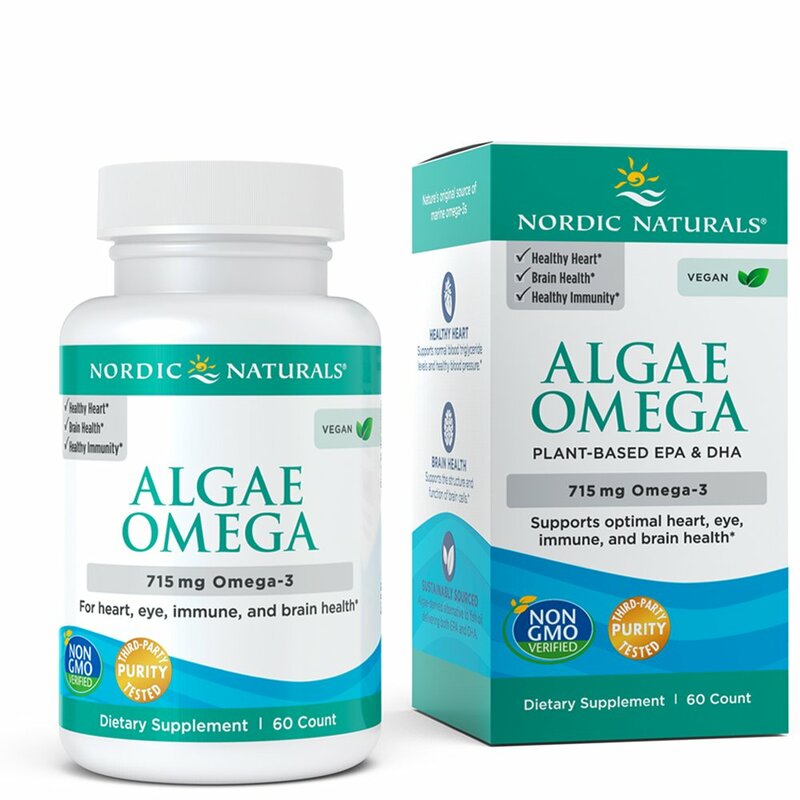 Nordic Naturals was one of the first companies to come out with a high-quality plant-based Omega-3 supplement with BOTH DHA and EPA, in meaningful amounts. Known and trusted by Doctors and others for over 20 years, their release of Algae Omega marked a turning point in nutritional supplementation for vegans and others eating a primarily plant-based diet. EPA & DHA are essential nutrients, and a deficiency in these specific Omega-3 Essential Fatty Acids is a problem of epidemic scale. A growing body of scientific research continues to support the idea that Omega-3 is essential for protecting the body’s many different systems from conditions ranging from Cancer to Diabetes and beyond. Whether you get the from fish, or from algae, these are nutrients that every single one of us literally can’t live without.